Don't you hate undisclosed transfers? In this microscopic world of celebrity, why all the secrets? My assumption has always been that one party is far too embarrassed with the size of the fee, high or low. Hull finally bowed to pressure to allow ex-Addick Michael Turner to leave the KC Stadium today for an "undisclosed amount." Liverpool were waving £6m notes over the Humber Bridge a month ago but Turner has chosen Sunderland to join Andy Reid and Darren Bent. The fee? Undisclosed but rumoured to be £12m, which includes either Black Cats defender Nyron Nosworthy or George McCartney. Phil permatan Brown described the offer as "crazy money." Crazy indeed Mr Brown. Hull signed Turner from Brentford for £350,000, perhaps that bloke Phil Parkinson wasn't so rubbish after all? He was sacked 6 months later of course, but Brentford installed a sell-on agreement into the transfer deal with Hull and they will be rubbing their hands after signing him from us for a bloody undisclosed fee (thought to be around £30,000). We also inserted a sell-on clause in the 2004 transfer contract but at the time Turner moved to Hull, our respective clubs were light years apart financially and it is widely agreed that Charlton allowed Brentford to transfer our sell-on clause with the player as opposed to coughing up then. The burning question however is do we still have that arrangement with Brentford in place? And will we ever find out? The board in it's current financial climate may well have recently 'sold' the sell-on clause and taken a lump sum from Brentford, in much better shape now under the ownership of a Supporters Trust than they were when Turner was sold to Hull in mid-2006. Any amount of money due to us will of course be very welcome, and this already on the back off a sell-on windfall from Souleymane Diawara's €6m summer move to Marseille from Bordeaux. I have become the king of the short week recently, and that won't be changing very soon. Tomorrow night I fly back to the UK for the end of the last week of the school holidays. My son and I will be based at my parents in East Sussex with me returning on the following Monday which is the Labour Day holiday both in Bermuda and the USA. This does of course give me the opportunity to see my first game of the season on Saturday lunchtime at The Valley as until now my only live action was the preluder to all of this at Bournemouth's Fitness First Stadium on the first day of August. The weekend's are flying by at the moment as we are on contraction countdown. After a late and drunken night Thursday far from befitting my age, Friday we had dinner with some good friends from Chicago who were in Bermuda for a family wedding on Saturday. An evening with them made me feel even more 'Chicago homesick.' Saturday we were invited to the wedding too, as our Chicago mate's sister and her now husband became our surrogate best friends upon our arrival here last July. 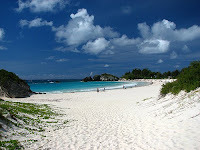 It was a superb day held in the midst of a wonderful traditional Bermuda setting on a private island. We left in the early hours of the morning as the pool party was well under way and I was clearly listed as the next person to be thrown in. It was an absolute joy to listen to the commentary yesterday. 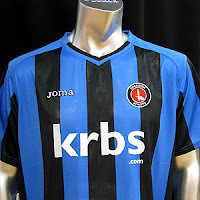 Charlton dominated the game with good movement, clever possession, solid defending and most importantly with an increasing air of team confidence and belief. Phil Parkinson deserves an awful lot of credit, credit for the way he has us playing and credit for giving us all something to be proud of. A piece of history is a piece of history, well done Phil. Once again our midfield was a class above and Semedo for so long a bit player with seemingly no real role or responsibilities under Pardew is absolutely thriving in this team and I was very pleased he got his first goal for the club, superbly dispatched under pressure. Not forgetting two-goal Lloyd Sam, another playing with a real smile on his face. I try not to take an awful lot of notice of the league table at this stage, which ain't easy, but the next three games the opposition certainly on paper at least takes on a higher level of difficulty but our bye in the Paint Pot Cup means we get another free week to rest players, hopefully none of them are being driven around by their agents this week, and Wednesday is a significant day in our re-birth under Parkinson. Then next week we host Brentford and I have my flight tickets booked and me and my son will be there. I can't wait. Reports: Some of the lucky 330 to be there on Charlton Life. 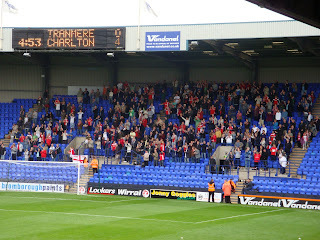 Quote: Overheard coming out of Prenton Park from a Tranmere fan: "No disgrace to get beat 4-0 by that lot." Photo: Courtesy of Friend or Defoe. Phil Parkinson talked again today about his frustration towards the longest takeover in history. Still whispers are being heard of two current directors wanting a return on their investment, not just their loans. One can presume the new investors want to allocate funds towards the future of the club and not the past. It is close to 4 months since Peter Varney brought a group of businessmen to the table, in the meantime non-playing employees have been sacrificed, money has been raised via player sales and wages have been saved from players moving on and yet Parkinson has taken the team to the top of a fledgling league table. We have to accept though that money raised has only helped to keep the club in operation and avoid administration. If there is uncertainty now then without a slightest doubt a takeover, this or any other, not happening will propel us much further down the road of precariousness. Parkinson has made it pretty obvious that he only wants Yassin Moutaouakil to move on and he wants to add to the squad, with a centre-half and a left sided midfielder viewed as essential. There are five days left until the transfer deadline and I like this comment from Parkinson: "If we can't bring anyone in, then we will have to move on, and perhaps go down the loan route. We don't want to do that, because we want to get our own players in the building." Lessons learned. Nevertheless beggars cannot be choosers, and our cap is firmly placed outside in Harvey Gardens at the moment and what could happen is the unthinkable that other clubs come knocking (harder) on the current board's door with offers for some of the players that have given us such a great start. 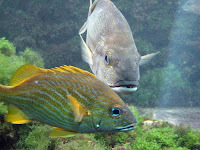 Offers of money that they feel they need for survival. Back on the rock today after my highly enjoyable Chicago visit and then a weekend in New York and a couple of days in Connecticut. 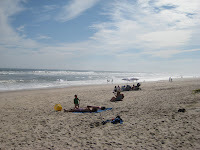 On Sunday we drove up to the far end of Long Island to fleetingly visit some of the great little towns known as The Hamptons. Judging by the 'for sale' signs and shuttered stores Wall Street's burst bubble has certainly had an affect on the traditional default getaway destination for New Yorkers with big cars and big wallets. Nonetheless the villages of Southampton, Sag Harbor and Bridgehampton are beautiful beachy enclaves and I still managed to lose count of the number of Ferrari's I saw. We drove out to one of the resident only beaches early Sunday evening to see the huge swells being produced from Hurricane Bill's tentacles out in the Atlantic and it produced a fantastic sight under high nebulous skies. 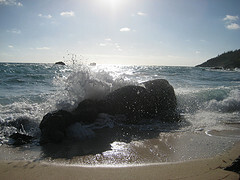 Little dogs with fancy collars and little children with fancy parents were each in turn whooping at the angry ocean. We then drove across Long Island to get the ferry from the pretty town of Port Jefferson across the Long Island Sound to the lot less prettier Bridgeport in Connecticut. The ferry was easy and saved a 3-4 hour car journey. Our arrival in Connecticut's biggest city represented a landmark for my other half as she collects US states like you and I collect football programmes and she didn't have this one. It is perversely comforting when in the crazy world of modern football West Ham and Millwall's followers can still hate each other so much that they seek to kick, punch and stab the living daylights out of each other. I was secretly (i.e. I hadn't told my blissfully unaware other half) planning on taking us all on an early Christmas return trip home for the weekend of December 18th and hoping to slip into the Millwall game as part of the festivities. If she sees the BBC News headlines this morning I might be grounded anyway but nonetheless my new responsibilities will have got me rethinking. When in the first line I described football as "crazy" I was actually thinking of Sol Campbell. Did he really sign a 5-year contract at 4th Division Notts County? I am sorry but it has taken a couple of decades for a football transfer to be more prepostorous than European Footballer of the Year Alan Simonsen signing for Charlton Athletic. I actually met Campbell once, when he was holed up alledgedly accompanied by a friend in Italy to escape the hatred enimating from one half of North London after he left Spurs to join Arsenal in 2001. He appeared in a mostly one way 2 minute conversation to be decent bloke who just didn't live in the same world as the rest of us. But why sign a 5-year contract? I have heard of players dropping down the leagues but to do it one wild leap would only be attractive if you getting paid £40,000 a week. Oh I see. I like to follow ex-Charlton players fortunes, well those I liked anyway and it was nice to read Steve Bruce compliment Andy Reid after he single-handedly demolished Norwich in the Carling Cup on Monday like they were, well a six pack of Carling. Demolishing the Canaries is clearly not all it is cracked up to be mind because both Deon Burton and Kevin Lisbie have done for Delia's boys recently but by all accounts Reidy has lost 22 millimetres of body fat. Good for him and like a lot of Addicks I have a small soft spot for Sunderland and it would be nice to see Reidy and Benty tear up a few Premiership defences this season. Yale's University Tennis Center in New Haven, Connecticut was the venue of the last pre-US Open tournament called the Pilot Pen Tennis named after it's sponsors, one of of whom's products I won in a very closely contested scratch card affair. This event has actually been held in Yale's huge campus since 1998 firstly as a women only tournament but since 2005 joined by some of the best men in the world's tennis rankings. We had tickets for both the day and evening sessions on a hot and sticky Monday. The world's best players sadly for us appeared to take this week off but we still saw a nice mixture of games with 5 courts being used. Polish number five seed Agnieszka Radwanska undeservedly beat the Italian Vinci first up in front of rows and rows of empty seats. Then the arrogant Californian Robert Kendrick beat the Dane Frederik Nielsen much to the joy of the growing crowd. After a break for lunch according to the local Connecticut news tonight a record 5,000 people sat in the sun and saw the talented Cypriot Marcos Baghdatis lose inexplicably to Portugal's Fredrico Gil, who had qualified. The lady behind me told anyone that would listen that Baghdatis was from this small "Cyprus island called Crete." Then finally for the day session trim looking Amelie Mauresmo easily put pay Ai Sugiyama to win in two sets. As the high tides rolled into Bermuda thanks to Hurricane Bill, Hurricane Addick swept to the top of a fledgling Division 3 after a comfortable sounding home win over Walsall. We were out and about around SoHo in New York City, so no live commentary for me, but instead both Twitter pages of CAFCofficial and All Quiet kept me updated of proceedings. Llera's scrambled goal relaxed me and young Scott Wagstaff's fine finish had me smiling a bit too much at a rather attractive sales assistant. I almost asked her about the takeover. Our name looks sweet sat on top of the table. We've seen the bad times so let us enjoy it. I'm sat at Chicago's O'Hare airport waiting for my flight to New York. My windswept other half managed to get on her flight out of Bermuda to New York, so we will meet up around lunchtime at our hotel in midtown. With 8 weeks to go to the baby due date, we are loooking forward to one last hurrah in the city and then on Sunday we are going to take a leisurely drive up through the Hamptons to New Haven in Connecticut where Monday we have tickets to see the tennis. I had a terrific time back in Chicago and am sad to leave it again. Last night I might have overjoyed myself a little too much judging by what time I got to bed, but this mornin g at 5.30 when I was looking bleary eyed at the clock, I reassured myself it was good retraining for being a Dad again. I spent a lot of time walking Chicago's wide streets as I promised myself I would, I walk hardly anywhere in Bermuda. 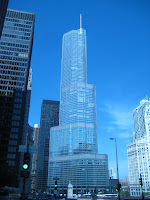 I stood and admired the now completed Trump Tower (photo right), I ate in some great restaurants with some great mates, I window shopped my heart away and strolled around my old neighbourhood in River North remembering why I was so keen to live there in the first place. The only downside to the whole week was walking around my old apartment and trying to figure out how a 28-year old female laywer could live like like a tramp. My place was disgustingly dirty. After Ana fizzled out and became just a big downpour in southern Florida, Hurricane Bill, the 2nd named storm of the season is heading to Bermuda roughly as of this evening about 1,000 miles away. The first effects of the storm are already being felt in Bermuda with increasing swells and surf off the south shore but I am hopeful that the Category 4 storm with 135mph winds will sweep around the island with about 180 miles to spare. Friday night and Saturday will see some very heavy rain and strong winds though. Amazingly Hurricane Bill's route is expected to avoid all land and will move around Bermuda and away from the east cost of America and finally end up as a rather large bucket of rain in Nova Scotia. Bill could reach a category 5 and is an exceptionally large storm with an eye over 80 kilometres long. I hope no one was having an afternoon nap in the hotel rooms either side of me because I got a tiny bit excited earlier. Steve Brown said it wasn't vintage, but personally I am alright with a drop of east end liebfraumilch. We didn't play well in the first half but I was thinking if we can get them back out 2nd period and regroup then we could still get a result.... bloody amazing what a bit of confidence can do eh? Just come of the phone to my mate, and he said that it was Racon that was the driving force in the 2nd half. Just after the hour mark Shelvey scored a corker of an equaliser, the Addick masses (almost half the attendance) rediscovered their voices and after that if there was going to be a winner, it was likely to be us. Actually at that point I would've been happy with a draw but Burton grabs another 'strikers' goal and Yippee I Oh! It was good listening to Brownie on CAFC Player, and he has just been appointed Brighton's youth team manager so good luck to him, but he made a number of interesting comparison's against the last few seasons. One of them how players and supporter's seem to be as one. So it wasn't vintage but it was as Kings Hill Addick had hoped for. A win after going behind, only adding to the excitement and the belief. The Central Line will be rocking tonight as no doubt will I, although I am having dinner with a Brighton fan. Oh well, I'll be on good form anyway. An enjoyable and stressfree morning sat in front of the internet commentary on Saturday. A healthy 505 Addicks (11% of the total attendance) enjoyed a victorious away day, let's make this habit forming not a rare sighting like it has been for too many seasons now. 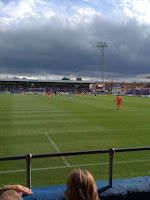 Hartlepools are no pushovers, they have had a solid first week but what was pleasing was the way defended resolutely but sparkled going forward and christ on a bike, we even had a centre-forward score a goal. An excellent finish from Burton and reward for two fine lone striker performances. Whilst witnesses questioned Shelvey's performance again yesterday, what hasn't been questionable is Nicky Bailey's attitude. Some had concerns during pre-season that his mind was elsewhere but the dynamo has grasped the captain's armband with relish - more please Nicky. 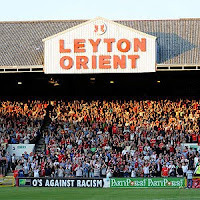 On to the Orient then on Tuesday, when an army of Addicks will descend on the east end. I'll be in Chicago but hope to listen in on CAFC Player. There are doubts over Llera's head injury. Hopefully he will play but I don't understand why Mambo is not on the 7-man bench. Reports: Drinking During the Game; All Quiet; Addicks Diary; Doctor Kish. We went to see Mary J Blige play last night to get our all too seldom live music fix. Her appearance had been heavily advertised but she sung in front of a sparsely populated crowd at the National Stadium, which must have been disappointing for both the promoters and the tourism department. Robin Thicke led things off, and he was pretty woeful with Mary J coming on at around 10.30pm. It was a slow start but the crowd slowly livened up after she threw out a few foot tappers bringing people slowly to their feet, namely Real Love and Family Affair, although my personal highlight was No More Drama, a song that resonantes with me from not a particularly happy time of my life. Her voice was good but the atmosphere was such that from our seats to the side of the stage it was like watching her on television. 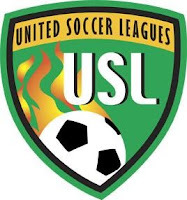 The 20-game USL 2nd Division (the 3rd tier of US professional soccer) ended for the Bermuda Hogges on Saturday night in dramatic fashion. The Hogges, whose owner Paul Scope recently threw doubt on them making another season due to the financial cost of participating in the American, albeit predomiately eastern seaboard league, finished bottom of the table. The title was won by Richmond Kickers who the Bermudians actually beat at home earlier in the season. Of course play-off's will decide the 'real' winner later in the month! The Hogges only won 4 games all season, all of them at home but often in front of disappointing crowds. There was only 200 at their final home game and coach Kylie Lightbourne has consistently criticised Bermudian football fans for not getting behind the island's most vaulted team. Nonetheless the cost of travel plus work and college commitments invariably means the Hogges travel away short on numbers and without their best players. With limited flights an away game can be a 3 or 4 day trip. However in the First Division the Puerto Rico Islanders appear to beat the same issues despite teams being spread as far as Vancouver, Austin, Minnesota and Miami. More money and sponsorship does flush around the USL 1 though including a television contract and regular games against MLS sides. Anyway back to the Hogges' last game of the season Saturday night against Real Maryland Monarchs in Rockville, MD. The Hogges were two goals down when one of their better players Stevie Astwood hit a brace before half-time to bring it level. But then astonishingly the goalscorer was arrested by local police officers at half-time, taken away from the dressing room in his kit to the station! I read he was questioned about a "personal domestic issue" and later released and I have been scouring the local media for updated news but have found nothing. In the 2nd half Hogges then took the lead but eventually lost to two late goals. Before that a player from each side was sent off, and so was Hogges' coach Jack Castle, and the Bermudians, proving their lack of players, had their reserve goalkeeper playing up front! Quite a game. I wonder if the Hogges will survive another season, I hope they do as I have still not managed to watch them as they have a very awkward schedule, which does not help their appeal. Owner, in fact he is normally described as co-owner alongside Shaun Goater, Englishman Paul Scope has thrown good money after bad to bring a better discipline of football to Bermuda and his dedication hasn't been rewarded but I personally think they advertise themselves poorly and the website being updated would be a good start. Tonight only emphasised the threadbare nature of our squad. With Dailly, Llera and Richardson all missing captain for the night Semedo joined Youga as a makeshift centre-half pairing with Solly and Basey playing full backs. Mambo despite plenty of pre-season action was an unused substitute. 323 Addicks made the journey, a very creditable and loyal number (11% of the entire attendance in fact) but they had little to cheer as Hereford made most of the clearcut chances and once again we relied on Elliot's efforts, this time to take us into extra time, something we could have done without and we would have if Gray had made the most of a free header in front of an empty net and then from the spot. Adam Bartlett saving his penalty after he stumbled under a challenge. Perhaps it is best for all concerned if we hurry through Gray's move to Barnsley. At that point all was not lost as it was left to Stuart Fleetwood to finally make a name for himself but he put a great chance wide to save us all from the ignominy of another defeat to lower opposition in this competition. Knackered today after a weekend of putting together bedroom furniture for the new baby, suffice to say if anyone needs some long screws (I obviously have a couple left over) or an allen key then I am your man - email me at the address over there with sensible offers only. The instructions were slightly better than IKEA, but clearly only meant for chemical physicists with a knack for DIY. Nonetheless despite a couple of tantrums and filling a couple of swear boxes they look alright, in fact I was just staring into the room very dreamily before I sat down to write this and it does make the whole thing v-e-r-y r-e-a-l especially when my Bermudian brethren and his lovely other half gave birth to a fantastic looking son on Friday evening, a couple of weeks early. Gulp. However despite rumours of naming him after Saturday's first goalscorer they decided against Christian and my suggestion of Killer and went with Evan. This morning I went for an annual medical or physical as the Americans call it, and can I say a prostrate examination doesn't quite work like a bowl of Ready Brek in the morning to brush away the Monday blues. Anyhow cholesterol is too high and I need to keep of the cheese. I was wondering if Laughing Cows count because I have been quite into them recently. Any doctors out there with advice? I was exhausted after listening to the game yesterday but equally I don't think I have been that engaged or excited or nervous in a Charlton radio commentary for some considerable time. It was important to win and we did, one can only imagine how Norwich fans feel today. Two Canary season ticket holders even threw their season tickets away, I hope for their sake they got their relegation refunds during the summer? At 2-0 we were playing superbly but I think we were too complacent when Llera was off getting stitches (if Mambo was among the substitutes I wonder if Parkinson would have made a straight sub?) but we will learn in this division how to defend leads better and also extend them. It was confusing to me why Parkinson took off Sam, more confusing than the actual formation change. Shelvey had done his work, and like last week wasn't quite at the races and perhaps he should have been relinquished. Gray and McLeod should have both put the game out of doubt but once Zebroski got his second old demons came back to haunt us but despite a wonder point-blank save from Elliot and various off the line clearances we still won. We wouldn't have last season. Of course we all want to win like kings and maybe we should have done. Last week at Bournemouth, in only a friendly I know, we dominated the game but could have ended up drawing it. It is a fine line and we do need more players, but Parkinson acknowledges that. The noise on the radio was tremendous and the crowd of 16,552 was fantastic and I have to say I was very impressed with the new CAFC Player. Onto Hereford then Tuesday, with Llera, Dailly and Richardson all carrying knocks I expect a few changes to the line up. Addicks' view: Drinking During the Game; New York Addick; All in a Day; Addicks Diary. Getting closer to kick off, no further signs of a takeover (yes, I know what takeover) or new signings. The squad numbers did come out yesterday included Andy Gray at 9. Robbie Elliot collects the number 1 shirt and Semedo and Racon both move up the pecking order to 6 and 8 respectively. Unsuprisingly there are no numbers for either Yassin Moutaouakil nor Martin Christensen, who is still on loan at Lyngby Boldklub in the Danish 2nd Division. Interestingly Jon Fortune's previous number 24 has not been taken. Fortune by the way is currently injured and no announcement has been made either way by Sheffield United to him joining them. Excellent New York pizza at Adrienne's on Stone Street signalled the end of a very long day for me yesterday. I stepped off the plane at JFK from Heathrow to go straight into a presentation that I had to give and by the time I hit the sack last night I'd been awake for 24 hours. Unfortunately flying back from London yesterday meant I missed last night's introductory Supporters Trust meeting in Charlton, which I would've liked to have attended. From what I've read 50 or so Addicks, with the help of James Mathie from Supporters' Direct debated the idea of setting up a Trust. Next step will be for the group to declare some joint objectives. I would have personally liked to have heard Ian Cartwright's rallying cry to unify fans. Being a Charlton fan has never been more exciting when we, the fan's have stood side by side. In the City today with some meetings starting a little later followed by beverages this evening before an early start in the morning. I fly to New York tomorrow for some worky meetings I needed to be at which is a pain in the bum as I originally planned to stay in London until later in the week. The highlight of the weekend was the trip down to Bournemouth but with Chislehurst my base I continued my tour of south coast towns when I whizzed down to see my parents for lunch yesterday in Eastbourne. I drove into town last night dropping my rather more depreciated rental car off in Tower Bridge. What amazed me was how busy it was in the City last night. The roads around the Tower were rammed and there were literally thousands of people wandering around. I remember Sunday's in the city being like a ghost town. My son and I showed up in our shorts at the Fitness First Stadium yesterday, maybe slightly underdressed considering the weather and rain, but what we witnessed was a stylish performance from Charlton in the final friendly before we get down to business next Saturday. The fact the four of us made it all was touch and go thanks to god-awful traffic from the minute we got on the M25 at Junction 3 all the way down to the back streets of Boscombe. We parked in the car park next to the open end of the ground just as the referee blew his whistle for the start of the game. I bumped into a fellow blogger and we watched the game together in a busy and good heartened away enclosure. On the way down we had plenty of time during the drive down to discuss our hopes and fears for the new season but we agreed while the game's result wasn't going to be important, the way we played and the unity and spirit shown from the team was. And what we saw was an excellent performance full of good movement, passing and creation plus a solid looking back four. The rental car on the thankfully shorter drive home was full of good humour and positivity. I was glad we went, I have never been one for friendlies but beggars can't be choosers these days and I was impressed on many levels particularly the way we dominated the game in every area. Sam, Racon, Llera and Spring (for 45 mins) were stand-outs and even McLeod's direct play was recognised by Addicks around us. As for Gray's appearance it was met by a combination of surprise and cynicism. Perhaps reasons for Gray and McLeod's showing and Dickson's omission will become clearer this next week, or perhaps not! So a very enjoyable, if long day out, my two mates who joined my son and I will both renew their season tickets this week on the back of that performance but as I said the real business begins next Saturday. Reports: cafc.co.uk; Drinking During the Game.